Daydreams of Quilts publishes PDF patterns and quilting tutorials. We sell our patterns, ebook and quilting supplies on Etsy. We also sell handmade quilts, bags, wallets and more. Welcome to Daydreams of Quilts Blog! It’s wonderful that you are here. Here you will find posts about quilting both as a hobby and as a business. Anita strives to share her quilting knowledge gained in over twenty years of quilting and business knowledge gained in seven years of business. A quilt made at the request of Anita’s Aunt and Uncle in solids matching the colours of the art by Ted Harrison in his book “O Canada”. 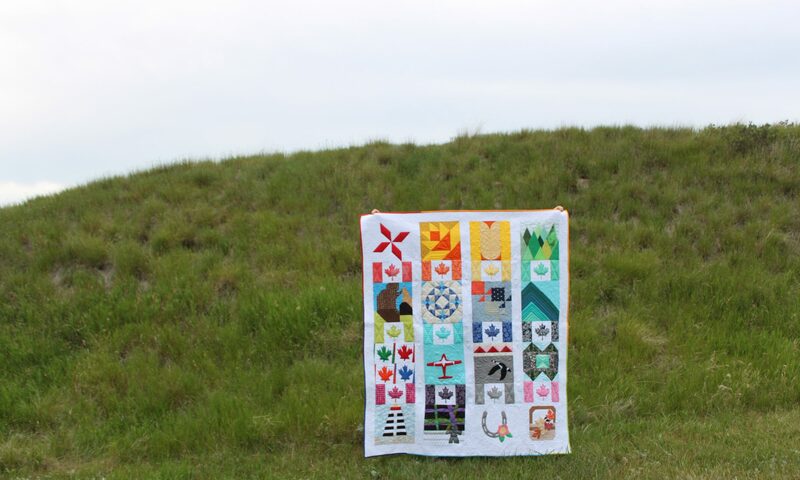 Anita is a passionate Canadian quilter who has finally figured out the answer to “What do I want to be when I grow up?” She has been quilting since 1997, blogging since 2011 and a pattern designer since 2016. She holds a Journalism diploma from the Southern Alberta Institute of Technology and combines her skills in writing, photography, quilting and teaching on this blog. Here you will find posts about quilting as a hobby and as a business. Feel free to take, or learn, what you need and leave the rest. May we all be beautiful flowers, or in our case, quilters.